Fate can be cruel, fate can be funny. It can also be coexistent, though might be dancing in between the lines. The masked man doesn’t admit that he’s the murderer and soon, a fight ensues between him and Cha-don. The man enters a bulding to hide but Cha-don is fast enough to follow after him. Cha-don pushes the man but he manages to hold onto a board, preventing him from falling to the ground. Seizing the opportunity he has,Cha-don takes off the mask to reveal the face and then saves the man. However, the masked man, who is Mr Lee, doesn’t wait for long to escape from Cha-don. The ex-Mayor Jung Hae-ryung is still at the party, where he’s waiting for Se-kwang to come. Se-kwang comes, but not before tricking the mole into believing that Mr Lee is willing to be on their side. He goes straight to meet Mayor Jung and runs into Bi-ryung. He pretends to agree to be on the mayor’s side and the mayor seems to believe him. Bi-ryung vows to take her revenge on him after he admits that he never loved her, but deep in her heart, she still have some traces of love for him. Mayor Jung soon realizes that Se-kwang was just acting and he’s convinced that Mr Lee is now going against him. Se-kwang is happy that his opponent is already tricked and Madam Bok overhears everything; however, she chooses to concentrate on her business. Cha-don is still trying to remember who was the masked man, as he feels that he saw him before and soon remembers that the man was on the list of witnesses. He confirms that the man is indeed Mr Lee. Meanwhile, Mr Lee is pretty sure that Jae-in isn’t with Cha-don right now and he’s wondering where she has gone to. The girl is still undergoing her treatment with bandages all over her face, but it is finally the day where Jae-in’s new face is to be disclosed. 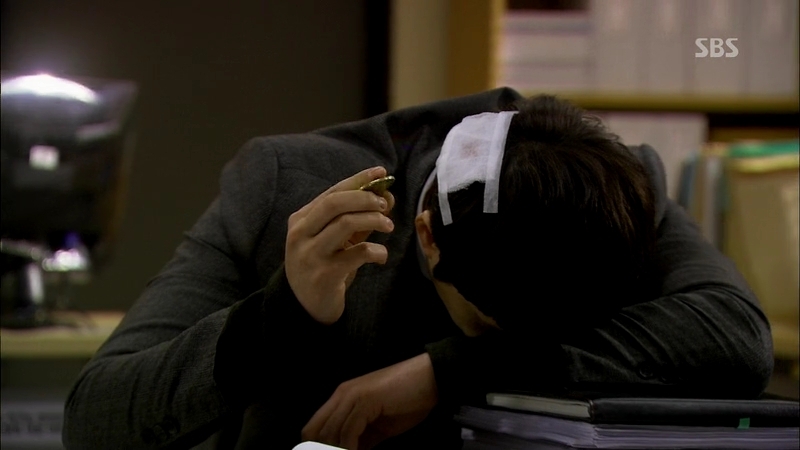 The doctor boasts about his greatest masterpiece (reference to 200 Pounds Beauty movie LOL) and proceeds to cut the bandages to reveal the pretty new face that belongs to Jae-in. Despite the warning earlier, she gets too excited with her new look and accidentally dislocates her newly constructed jaw. Mr Lee goes to meet Mayor Jung and the old man is upset to hear rumors about Mr Lee betraying him. He denies it but Mayor Jung thinks it’s better if he goes abroad while he settles the matter. Cha-don gets to link the clues and the team makes the move. Mayor Jung then forces Chief Jo to order for the corpse to be disposed as soon as possible in order to prevent any discovery of evidence. Luckily, Ji-hoo and Cha-don arrive in time to block the corpse from being moved elsewhere. Cha-don and Se-kwang both receive the info that Mr Lee is heading to the airport and he might go abroad. Se-kwang manages to have a talk with him but fails to persuade him to believe that his life might be in danger. Cha-don suddenly screams Mr Lee’s name, sending him running away and Cha-don chases after him. He manages to catch him,but Se-kwang has just lost his potential witness to a murder case. Prof Kwon gives a hint to Se-kwang about his problem: to use deals in order to gain the heart of Mr Lee. Ji-hoo’s team has started their interrogation on Mr Lee as Se-kwang digs around about Mr Lee and the things related to the murder case. 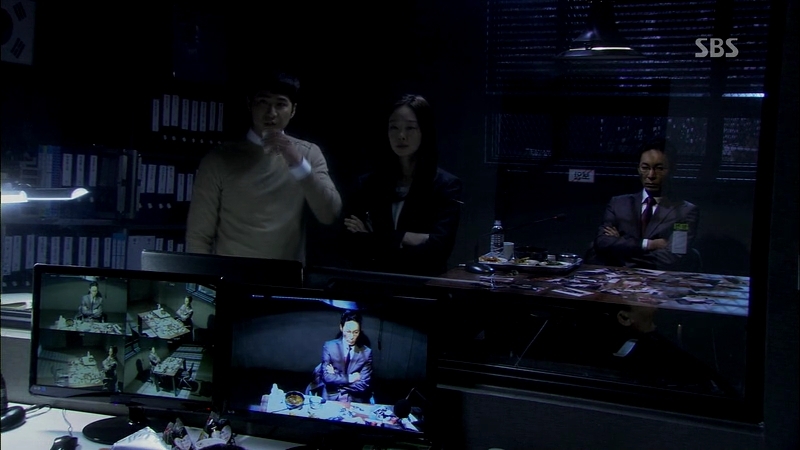 Cha-don is given the honor to start the interrogation but soon, Se-kwang decides to interfere. He says something to Mr Lee in secret but Cha-don knows that he’s negotiating something with Mr Lee. However, Ji-hoo refuses to believe it. 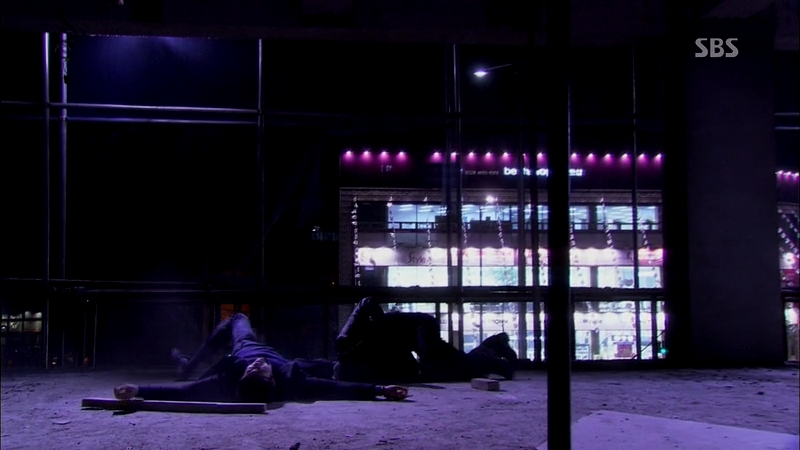 Ji-hoo and Cha-don go to the crime scene and re-enact the possible murder sequence. They slowly figure out the possibilities of things happened during the murder but then receive a call that Mr Lee has been released. Both of them go back just in time to meet Mr Lee and Cha-don vows to be the one who will put him inside the jail. He also confirms that Mr Lee has an injury at the spot he predicted and he’s sure that Mr Lee is the murderer that they’re looking for. Mayor Jung and Attorney Hwang are waiting outside for Mr Lee, but he’s soon dragged into a van and the van leaves. Se-kwang himself blacks Mayor Jung from following the van and it turns out that his team is going to hold Mr Lee for the time being. Se-kwang wants to negotiate with him about testifying against Mayor Jung, but Mr Lee is only interested to find Jae-in for him to destroy the only evidence in her hands. Jae-in won’t answer Cha-don’s call and he’s keen on finding her based on her fat figure, but she’s changed and currently busy being fascinated with her new figure. Se-kwang’s team realizes that Mr Lee has escaped and he’s on his way to find Jae-in. He manages to track her and shocked to see that she’s changed. Jae-in goes to the mall, with all the guys going gaga over her new look and fantastic figure. She runs into Madam Bok and hides from her, but then runs into Mr Kim. No one recognizes her and she’s so relieved, but unknown to her, Mr Lee is following her closely. Looks like Se-kwang is going to raise the tiger that he once threw away from his life. His ties with the Lee household isn’t that weak after all. Yes, the mother/son meeting definitely pulled on the heartstrings. Also, did I miss something, how did Mr Lee tracked down Jae In? Considering she told no one, I did not understand that. Also, the department store scene was truly funny!! Jae In walking past all the guys and their gf/wife pulling on them; comedic genius!